Many people in County Clare, as children, are brought into Custy’s Traditional Irish Music shop to choose their first instrument. For some it may be a tin whistle, a fiddle or perhaps an accordion. Most people start off with the tin whistle as it is cheaper and most primary schools in Clare teach this as a subject. Some people then like to progress onto more difficult instruments, concertinas, fiddles, or even flutes. 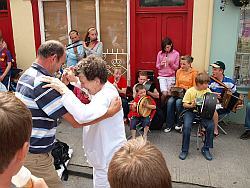 County Clare has been known as the home of Traditional music, this due to the annual calendar of festivals throughout the county. 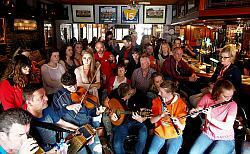 The traditional music season starts in Clare in february and goes on until end of october. It kicks off with The Russell Memorial Weekend in Doolin. This festival is just the first piece in a symphony of festivals that are to be put on in various towns around the county, from Feakle to Kilfenora to Kilkishen. Some of these festivals include the Scoil Samhraidh Willie Clancy, which is a week-long summer school in traditional music and set dance held annually at Miltown Malbay, at the start of July. Another is the Crotty Galvin Weekend, this is a wonderful weekend in Moyasta to celebrate the legacy of three amazing musicians Ellen Nell Galvin, PJ Crotty and Peadar Crotty. This weekend is held annually at the start of September. 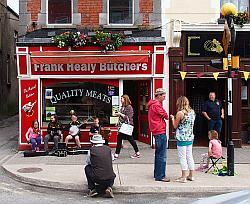 For musicians and music enthusiasts, the year is anything but boring in Co. Clare. For the weekends that have no festivals on, many pubs throughout the county have weekly or even daily sessions. 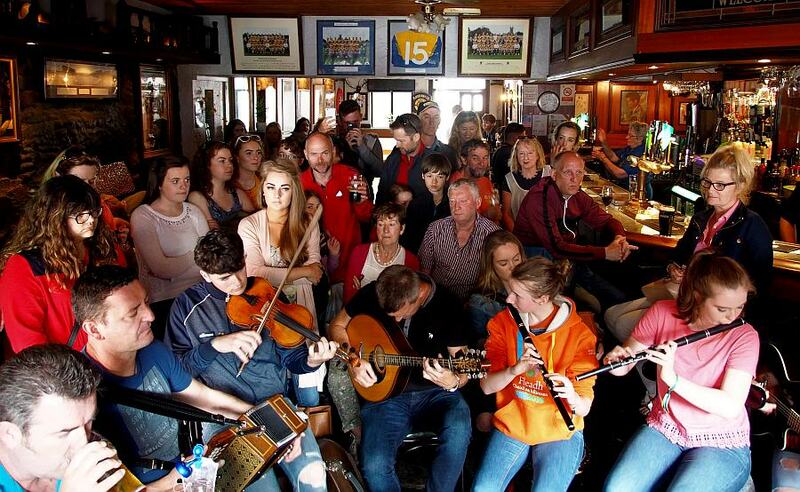 Some of these pubs are very famous for their sessions, with pubs such as O’Connor’s pub in Doolin, Friel’s in Miltown Malbay or Crotty’s bar in Kilrush being particularly popular. 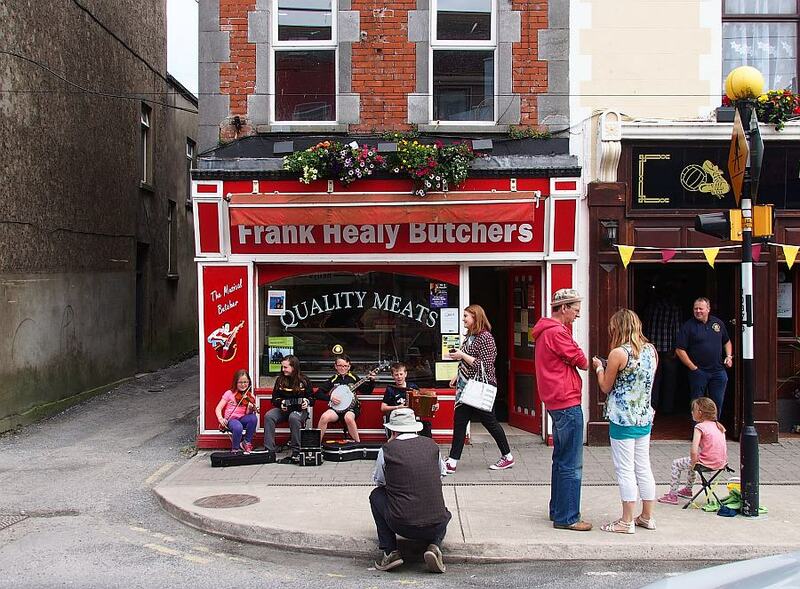 Speaking to the manager of Friel’s in Miltown Malbay, he said that the love of traditional music is still strong in West Clare, and indeed throughout the world. His business has greatly benefited from this and continues to do so to this day. Despite Irish language and culture fading away, according to the media, it is obvious that there is still a strong hunger for traditional music. The links below point to external sites. We are not responsible for the privacy standards nor the content of other websites. We encourage you to be aware of this when you leave our website.